Every year at the Consumer Electronics Show in Las Vegas, people look forward to seeing the new technology that will make their lives more enjoyable in the coming months. But a trend taking off even more each year is the rise of automotive technology. Remember – we’re in 2015 now – the year of Back to the Future Part II. Let’s start with Audi. 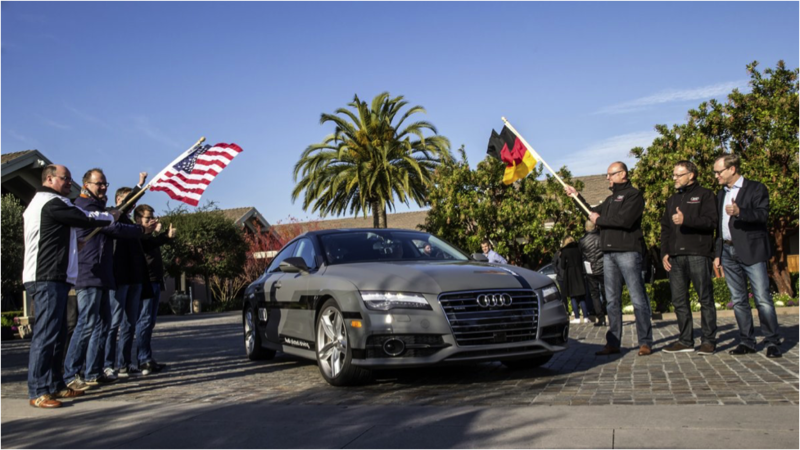 Their updated tech includes the driver-less A7 that drove from Silicon Valley to Vegas on its own – quite impressive. Google Earth was integrated into Audi’s navigation – making it understand the roads better than any other map out there. Also, in the rear of the A7, there will be Android tablets running on powerful Nvidia Tegra 4 processors. BMW introduced “I Connected Mobility” which is an Android-based smartwatch connected to their cloud servers and i3 electric vehicle. With the watch, the user will be able to locate and unlock their vehicle. It can also function as a GPS to find the best route. Ford had a lot of buzz at the CES show thanks to their must-needed improvement of their infotainment system. Sync 3.0 will be faster, more stylish, and easier to use than their previous system, as stated in my previous article. 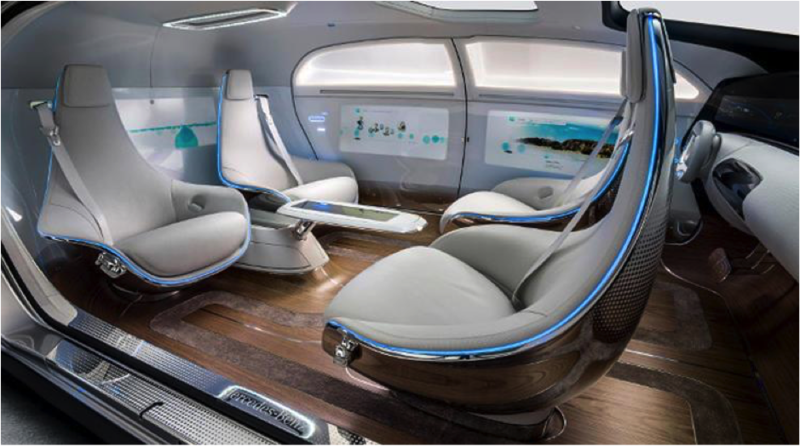 Mercedes unveiled an autonomous, heavily-futuristic concept car, which has awesome looks. But, let’s take a second and understand that this vehicle is not likely to hit the streets – at least for another 20 years. I’ll let your imagination run free for safety issues. Jaguar’s F-Type will be using a touchscreen almost the size of those found in Teslas. 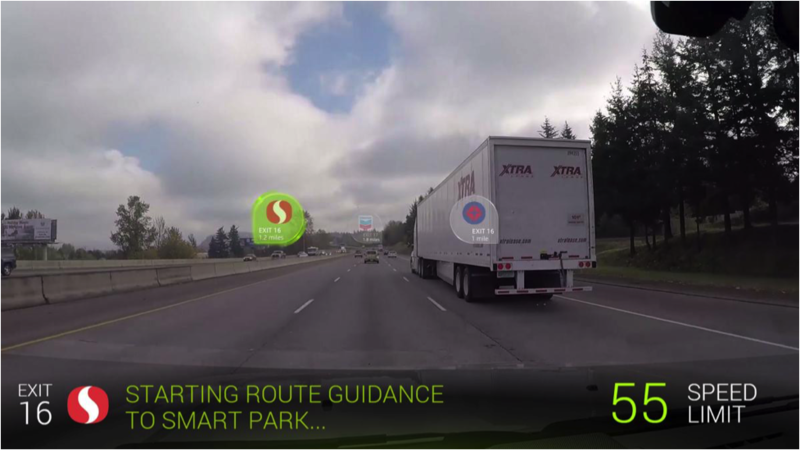 They will also have “ghost technology” that will be able to display navigation routes on the heads-up display, also showing exit signs through obstacles such as trucks – although this may pose as a distraction to many drivers. This technology can also read the driver’s eye movement. Hyundai showed off both Apple CarPlay and Android Auto in their vehicles, becoming the first automotive company to do so – giving consumers a choice. Just like every CES show, this year’s technology was a big improvement, as cars are getting much smarter and more intuitive. I’m excited to see these new technologies on the road someday in the near future.